Agribusiness Intelligence, a branch of data forecast specialist Informa, predicts the global animal health market is set to reach $44.2bn by 2020, despite producers looking to reduce antibiotic use through better management and new technologies. The use of antibiotics is believed to be an effective method of ensuring high quality levels in animal production, as well as low-cost animal origin food meant for human consumption. This often leads to meat producers using very large quantities of antibiotics. Antibiotics are normally used for three purposes in animals: growth promotion, disease prevention and to cure existing diseases. Antibiotic growth promoters were banned in the EU in 2006 and according to Informa, it is likely that there will be a worldwide ban in future. Continued improvements in animal farming management may also lead to decreased antibiotic use for disease prevention. Agribusiness Intelligence special reports director Alan Bullion said: “The animal health market will grow driven by animal medicine, vaccines and antibiotic alternatives, with antibiotics set to play a smaller role. While meat producers are looking at ways to reduce the use of antibiotics, resistance remains a cause for concern, with overuse still suspected as an issue in countries like China, where the demand for meat has increased significantly in recent years as gross domestic product (GDP) measure has risen. Informa estimates that nearly half of the 210,000 tonnes of antibiotics produced in China are given to food animals. Despite the growing trend toward vegan, vegetarian and ‘flexitarian’ habits among more affluent consumers, agricultural antibiotics use in the UK and the US is still high. According to 2015 figures, the UK used 407.7 tonnes of antibiotics, compared to 15,358 tonnes used by the US. The extensive use of antibiotics can lead to resistance developing in pathogenic micro-organisms. There is also a risk of antibiotic residues being found in humans. While most countries use antibiotics responsibly, there are suggestions that China’s prolific use of antibiotics in pork production is now leading to antibiotic resistance in consumers. The use of antibiotics in animals is more than double the amount used by humans, and food animals continue to show resistance to the most commonly used antimicrobials. 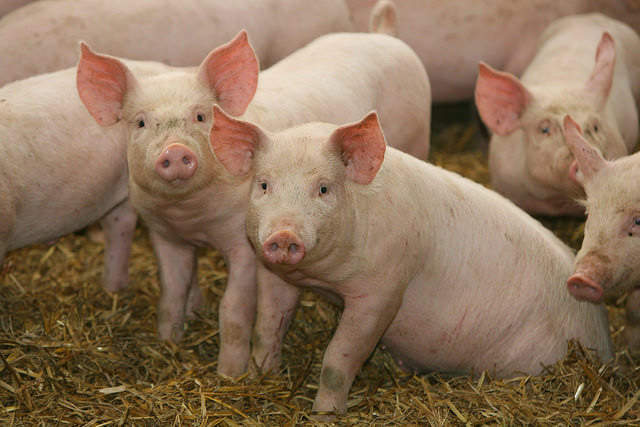 Antibiotic use is frequent for intensively farmed species like pigs, poultry and veal calves, though the level is much lower for animals raised on pasture such as sheep and cows. Since the EU banned antibiotic growth promoters, meat producers have focused on the use of a wide range of feed ingredients and additives as a replacement. These include feed enzymes, prebiotics, probiotics, synbiotics, organic acids and phytochemicals, which have been quite successful when combined with feed additives and improved management.